global supplier of people counting technology, with over 400,000 devices installed in retailers and shopping malls worldwide. 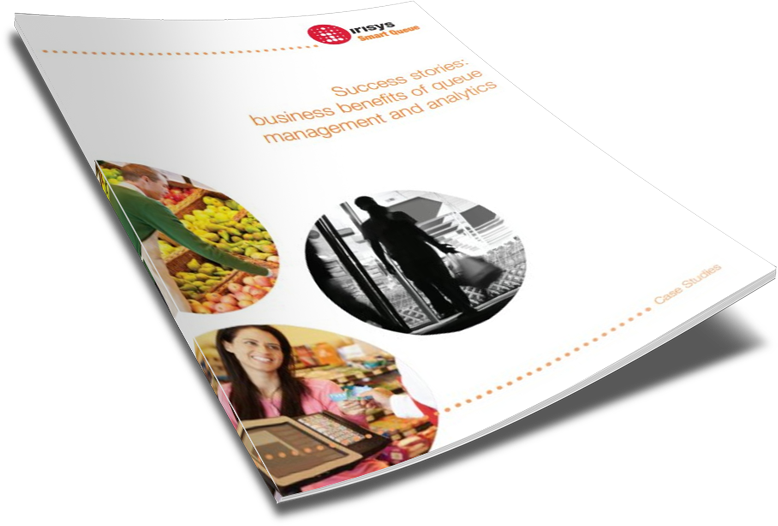 in grocery queue management, operating in over 4,000 supermarkets worldwide. We are rolling out best-in-breed technologies, such as the Irisys thermal detection counters. ...reduced the average amount of time a customer waits in line to check out to about 30 seconds today compared to around 4 minutes in the past. Rodney McMullen, President and COO, Kroger. The project that has had the most impact on our customers is the implementation of detectors to monitor checkout queues. Powered by Irisys’ Intelligent Queue Management Solution, Kroger's initiative was recognised in InformationWeek's Elite Top 100 listing of best business technology innovators in the US.